Be Cruelty-Free In 2019: Here Is the List Of Best Cruelty-Free Anti-Aging Creams That Are Approved By Skin Experts! Today, more than ever before, we’re inundated with an unlimited amount of products to choose from for our skin care and makeup needs. In line with this laundry list of choices, are the important decisions that will help determine whether or not they’re right for us. In addition to knowing that a product is made without ingredients that could be harmful to our health, we also want to know whether or not a product is “cruelty-free” or not tested on animals. This is incredibly important, especially as we continue to learn more and more about the methods used in testing by some of out old-time beauty brand favorites. For decades, many brands were essentially torturing animals—often rodents such as guinea pigs, hamsters, rats and mice. And the Humane Society International estimates that anywhere from 100,000-200,000 animals still suffer and die each year around the world as a result of testing on cosmetics including both skin care and makeup. Although there’s no current law in place in the United States to protect animals from this kind of abuse, more and more companies, especially in the anti-aging space, are changing their methods and refusing to test on animals. What are cruelty-free anti-aging products? Just as their name suggests, cruelty-free anti-aging products are creams, lotions, serums or any other product that is marketed to aging consumers that promises not to test their chemicals and formulations on animals. Especially given the legal climate and the fact that these companies are not required to avoid animal testing by law, it’s wonderfully comforting for the consumer to know that the wrinkle creams are cruelty-free. How can you tell if an Anti-Aging Product Is Cruelty-Free? The easiest way to determine whether or not an anti-aging product is, in fact, “cruelty-free” is to look for “vegan” on the label. If something is labeled vegan, it means that it doesn’t use animal or animal products in its formulations or packaging, and it does not test out its product on animals of any kind. A great way to cross-check whether or not a brand you’re interested in is vegan or “cruelty-free” is to search PETA’s database, which includes over cruelty-free 2,700 companies. In the meantime, here are some top-of-the-line cruelty-free and plant based anti-aging products that are worth trying out. OZNaturals places a strong emphasis on using the most superior of ingredients and advanced formulations that are as natural as possible. This includes being free of harmful chemicals such as parabens, GMOs, sulfates, phthalates, synthetic fragrances and colors and PEGs. They’re also 100 percent cruelty-free. This is unusual for a retinol-containing product like this one, which helps soften fine lines and boosts skin with hydration for a more youthful glow. Users love how it doesn’t cause irritation like many other retinol-containing products. If you’ve long been a fan of The Body Shop, there’s no reason to stop purchasing their products. Not only are they made from high-quality ingredients that smell amazing, but they’re entirely cruelty free. What’s more: They’re in on the fight against animal testing with an entire campaign to end the practice in cosmetics forever. For an everyday moisturizer that’s lightweight and hydrating, reach for this vitamin E-enriched moisture cream which also features volume-plumping hyaluronic acid as an ingredient. In addition to its rose scent, customers love that it doesn’t cause oil-buildup on acne-prone skin. The botanically-backed Marine Complex featured in this moisturizer is seriously impressive. Not only is it nice and lightweight, but it’s enriched with powerful antioxidants, such as aloe leaf juice and vitamin C. The sea moss extracts help strengthen the skin barrier and correct hyperpigmentation, or uneven skin tone. This top rated wrinkle cream also provides the daily dose of sun protection you need and wears well under makeup, according to customers. As far as their product manufacturing goes, they use 100 percent vegetarian ingredients that are free from artificial colors, harsh chemicals like sulfates, paraben and phthalates and they do not test their products on animals. Avalon Organics® was founded on a deep-rooted belief that beauty comes from the Earth, so they have no intention of causing disruption while creating their products. They use pure, organic ingredients that are both vegan and cruelty free. One of their best products for anti-aging is their emollient-rich moisturizer that boosts skin’s collagen and elastin production and protects the skin barrier. It contains powerful antioxidants, such as vitamin C, to fight free radicals lurking in the environment that lead to premature aging. 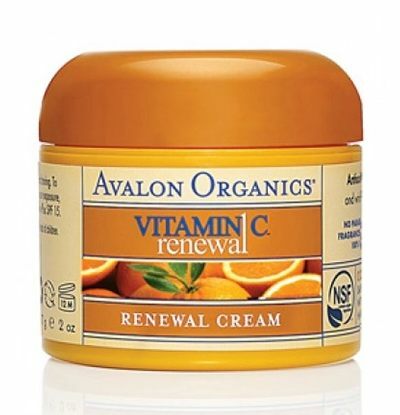 Since it’s thick in texture and does not contain contain SPF, users recommend it as a nighttime moisturizer. In addition to striving for sustainability in their product creation process, Queen Helene is strongly against testing on animals and are even certified by the Coalition of Consumer Information on Cosmetics (CCIC). This ensures that their products remain cruelty-free through all stages of product development and testing. Their dedication to using antioxidant-rich ingredients can be found in their Pomegranate & Raspberry Facial Scrub, which is packed the powerful pomegranate and raspberry seeds to gently clean and exfoliate the skin cells.